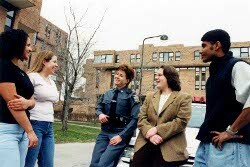 Campus Counts is the premier incident reporting and campus safety software for K-12. With hundreds of installations nationwide, Campus Counts delivers the richest functionality at the best price. Build to fit your specific requirements and needs with free customization. Campus Counts for K-12 is the most complete product at the best price. For a price quote or to schedule a demo, please click here to fill our demo request form or email us at customerservice@pavesystems.com. Click here to request a quote or to schedule a demo.